We all know that it is as important to retain existing patients as it is to attract new ones in order to have a flourishing medical practice. However, attracting new patients is not enough by itself. What really matters is the total profit that these patients deliver over time. So Who is Your Ideal Patient Really? Ideal patients aren’t those who come in for a one-time examination and then don’t return again. On the contrary, ideal patients would keep coming back to you for their healthcare needs throughout the span of their life. It is you that they depend on for looking after their health for years and this adds up to some value, also known as their lifetime value or PLV. What Exactly is Patient Life Time Value? 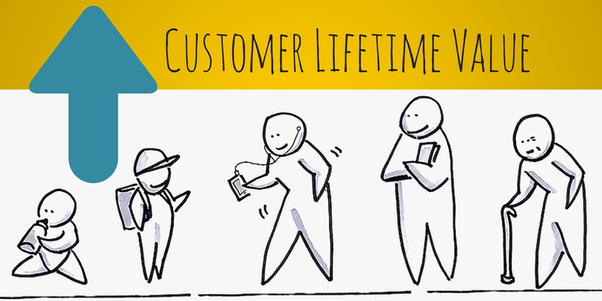 Let’s draw a parallel with Customer Lifetime Value, which has been talked about for long and we all have a fair idea of what it is all about. CLV (Customer Lifetime Value) is a prediction of all the value a business derives from their entire relationship with a customer. The patient is a customer of the hospital, and so a patient’s lifetime value is akin to the value that the hospital derives from its entire relationship with the patient. How Does PLV Really Matter? Well, today’s patients are an informed lot. They are aware of many treatments, alternative medicine and alternative ways to treat certain conditions and manage side effects of certain medication. Not just that, they also take health very seriously and use apps and electronic devices to stay fit and healthy. You can no longer treat a patient as someone, who walks into the clinic, takes a prescription for his ailment with no question and heads back home, to come back again in case of any further problems. A patient is a customer, a consumer of healthcare related resources. And if your services are not good enough to render him satisfaction, he will move elsewhere for the same services. But there’s a catch. We cannot look at the patient in isolation as a mere customer either. We have to look at him not from a money making perspective but from the perspective of managing his financial resources and his satisfaction so that we can retain him as our client when he needs healthcare facilities during his lifespan. Why is Patient Lifetime Value Important? Lifetime value of a patient or PLV is a healthcare marketing metric that is invaluable in ascertaining how patient satisfaction boosts your bottom line. It helps you understand how much value a patient can bring to your practice in the long term. Unlike other businesses, healthcare sells its services by examinations or sessions. So, for you to determine your ROI on marketing efforts, it would need you to know your patient's average lifetime value. Your cost per lead and cost per appointment only give half the information for revealing your ROI on marketing. To really know how well your marketing works, you need to calculate the return side, that is, you need to calculate your PLV. PLV gives you an insight about your profitability as well. If you spend Rs 200 to attract a new patient and you barely have a one-off consultation worth Rs 500, it is a warning sign. Almost all of your revenue will be going into marketing, leaving little for overhead costs or for paying to yourself. When you compare PLV across patients, you will also find out which patients are more profitable as compared to others. It can help you decide on areas where you need to focus your marketing acquisition and retention efforts. PLV helps you decide what you need to spend on acquiring new patients and retain current patients. PLV essentially connects marketing strategy to financial consequences. With comprehensive analytics placed around targeted marketing, you can successfully manage your financials. If you want to predict how your practice may do in the future, tracking PLV over time may come in handy. You might have an issue with patient retention if you have a declining PLV coupled with a steady or rising marketing investment. On the other hand if you have a rising PLV with a steady marketing investment, it implies that your practice is growing more profitable and your marketing is on track. You would do well to continue with the existing strategy. If you track PLV for different demographics, you will hone in on the patients most beneficial for the lifetime health of your clinic. It would help you to design your marketing campaigns to attract patients from that demographic which is likely to bring in more revenue in total, and not those patients who are unlikely to have a high PLV. How do you Calculate the Lifetime Value of your Patient? Multiply the average value of an appointment by the average appointments per year by the average number of years a patient visits your practice. Take a look at the equation below. How Does Increasing PLV Help? Increasing the PLV means increasing your patient satisfaction levels. If a patient is happy with your services, in all probability, he or she will keep coming back to you for his healthcare and also recommend your services to family and friends. This way your patients become a potent tool to market your healthcare practice. As per a study for the Harvard School of Business, increasing patient retention rates by 5% increases profits by 25% to 95% - another motivator to up your PLV. Not just that, multiple direct response advertising studies reveal that up to 95% of all ads written only target 5% of the intended audience. While the probability of selling to an existing patient is 60-70%, that of selling to a new prospect is 5-20%. Bringing about positive patient experiences not only boost engagement but also add value to your practice. Research proves that when patients are fully engaged, both their emotion and their rationale is at play in keeping them attached to a medical pratcice. Make your team learn how to engage with all patients through safe, non-intrusive, friendly and comfortable conversations. It is all about the art of good open ended questions as you find out about their lives and their interests. What you know about your patients can now be stored methodically to tap into their needs for healthcare. So far your viewpoint has been to influence your current and prospective patients to see you immediately. Now you have to move from there to learn how to service the patient at every phase of the patient/doctor selling/buying cycle. Rather than of reaching out to patients when you want to provide medical service; what you need to do is to be present in the right place and time when your patient wants his next procedure. Create a lead generation system. This would imply soliciting enquiry from potential patients. The main aim is to ensure that the queue of present and future patients is always packed to capacity. With this in place, you can now track and recognize each patient at different level of need and time. Your effort will also include categorizing each patient’s level of need and your level of intervention. This means quantifying patients on the basis of how soon do they need medical help. Naturally, the patient with immediate need should be given attention sooner. You need to create a profile inventory covering personal situations, potential timelines and needs, assigning highest value to those in immediate need. Set up a contact program for with each group that breaks down all your prospects into categories of – immediate need, 1-2 months, 3-5 months, 6 months and so on. This would give you an organized way to evaluate each patient’s need, and be available and ready to provide services as and when the need arises. Who are your best future patients? They are your past and current patients. These are the people who know you, like you and trust you. You need to put these patients into different categories such as A, B and C.
Those in “A” have both immediate need and ability to take action. This is your best prospect. “B” prospect will need your services within three to six months. Keep in touch with them through regular e-mails, newsletters, so that you are in their minds. “C” prospects may want your services but has no immediate timeline for doing business in mind. You’d want to keep in touch with them on a quarterly basis. You need to have some form of contact at regular intervals with all prospects, A, B and C so that you can cultivate them to be future ready for you. Patients whom you have treated already believe in your abilities and professionalism. If you do not stay in touch with them, they will be swiftly poached by other clinics who would be aggressive in their relationship building tactics. If you don’t have a system of continual contact, your patients may opt for other healthcare practitioners. Even opportunities for additional services will go to some other doctor in the area as will referrals that were meant for you. To cut a long story short, never drop a patient from your contact list. There should be a method to your approach of contacting your patients. You could contact the best prospects 8 times a year, for example, and engage in a dialogue which has strong, pertinent information coming from your side. This information will come from the data that they have given to you earlier. You are developing a deeper quality relationship when you contact your patients with personalized and relevant information. You will be the first doctor/clinic that would come to their mind when they need treatment. You are building a powerful bond of familiarity, trust, and expertise by maintaining consistent contact. As you endeavor to constantly give them education and information, they would naturally be more inclined to come to you for their medical needs than go to anyone else. A consistent contact program by itself would be inadequate. What you are giving during that contact has to have relevance. You need to educate and empower your existing and future patients with real information. This could include strong third-party industry case studies, beneficial industry information, or even published news sources. This would be a rather non-intrusive way of keeping them informed on their needs and interests. It would also establish yourself as both an expert and someone who genuinely cares about their patients. This would mean re-categorizing your patients as their needs are met and new needs emerge. But you have to be careful, if a patient has moved from Category A to C, you need to have a timely and proper follow-up mechanism in place. This is because the status can change rapidly. However, having said that, it is imperative for you to concentrate your time and effort primarily on “A” and “B” prospects — in that order! This will show you a clear route to follow in cultivating new patients. When they are ready to receive your type of services, they will approach no one else but you. Nurturing patient loyalty is about reaching out and cultivating those patients who help your practice grow. Informing patients of special deals and exciting developments could cultivate that much needed sense of belonging. If you get your patients involved in your practice, they will build positive associations around it. To develop patient loyalty you need to safeguard your online reputation. You need to retain patients by recognizing and fulfilling their needs. You will understand these needs through the patient behavior data. You have to figure out what your patients are likely to expect from you. It is important to deliver impeccable service to your patients, so that they keep coming to you each time they have a need. Use the latest tools and technology to improve your relationship with your patients. They will favour you with their time and attention once they realize that you are delivering a unique experience to meet their demands. This would be valuable towards building trust. You could make use of patient portals to gain intelligent insights and solutions. Patients can create, edit and delete their profile and use it whenever they want to. This in turn will help you gain valuable insights into the needs and preferences of your patients. Once you have data aligned with their preferences, you can engage better with them and provide a better patient experience. What better place than social media to go about doing this. People listen when any business, including healthcare, communicates with its audience on social networks. When you communicate on a personal level by replying to your patients or update them with health related information, it consolidates their trust in you. These patients can become your brand ambassadors. It also gives a human face to your healthcare institution. There will be a lot of your patients who are on social media. You can attempt to make them happy with a special discount voucher or complimentary service. It won’t cost you much but they will be telling it to the whole world on social media and thus amplifying your presence there. It will show that you care about patient experience. You can recognize, appreciate, and thank your patients for past patronage. Let them know they’re important to you. Help your patients identify with your brand values. People want to identify with your practice’s mission and values. Be definitive. Patients will only understand what value you offer if you are specific about your skills and services. Ensure that your patients understand what you do and the value you add to their lives. The most important thing is to know that if you are expecting brand loyalty, you have to treat patients like people, not numbers. You need to pay attention to what your patients are telling you. If you want to increase your patients’ lifetime value, you can’t be a transaction-focused practice. When you build a practice to serve people and care about them, they will voluntarily return the favor. This is the key to nurturing brand loyalty.